This was a wedding to remember! 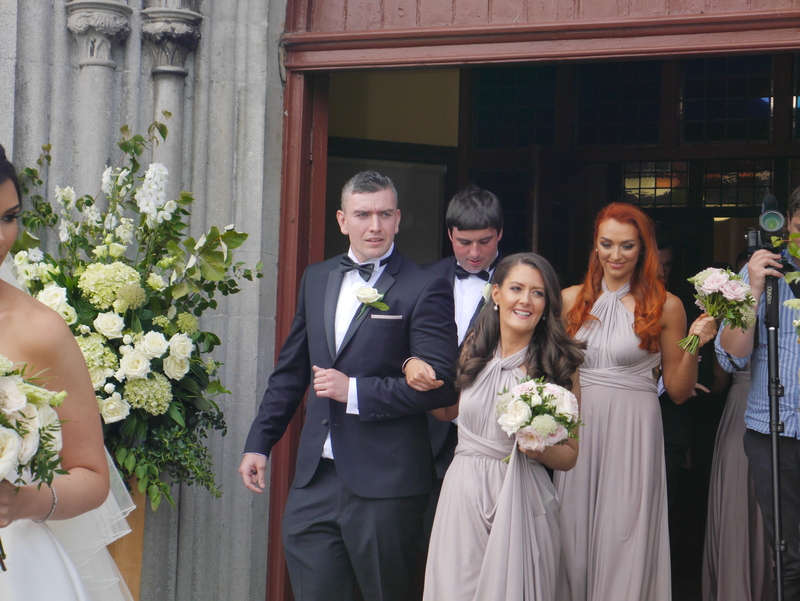 The ceremony took place in Saint Mary’s church in Enniskerry followed by a stunning reception at the amazingly beautiful surroundings of Carton House in Kildare. 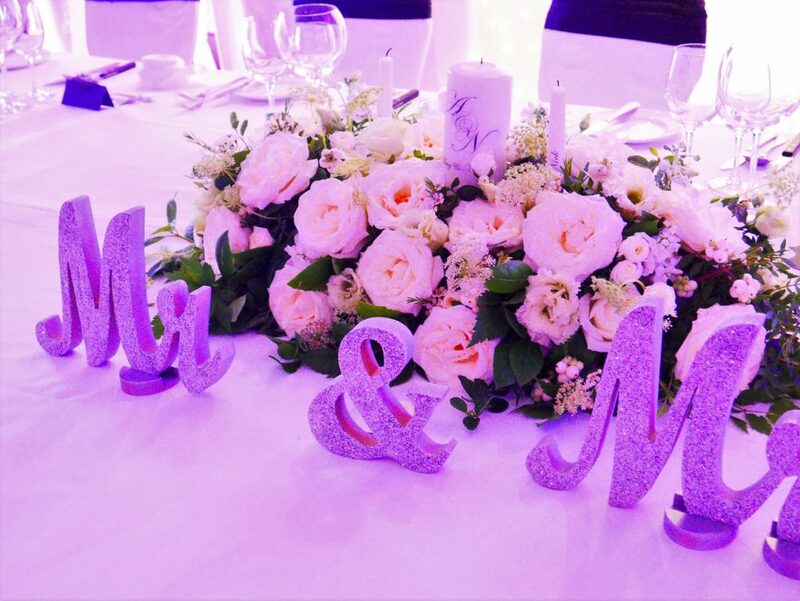 Amy’s wedding flowers colour palate was a mix of seasonal white flowers on a background of lush dark green foliage, with touches of blush blooms. The main flower was the scented garden rose, complemented by baby roses, Ammi, delicate stocks and wispy Astilbe, exotic Asclepia, blousy Hydrangeas and citrusy wax flowers. Amy’s bouquet was a delicate affair of pink, blush and ivory roses with lacy Ammi and Lisiantus, white snowberries, eucalyptus and pistache. 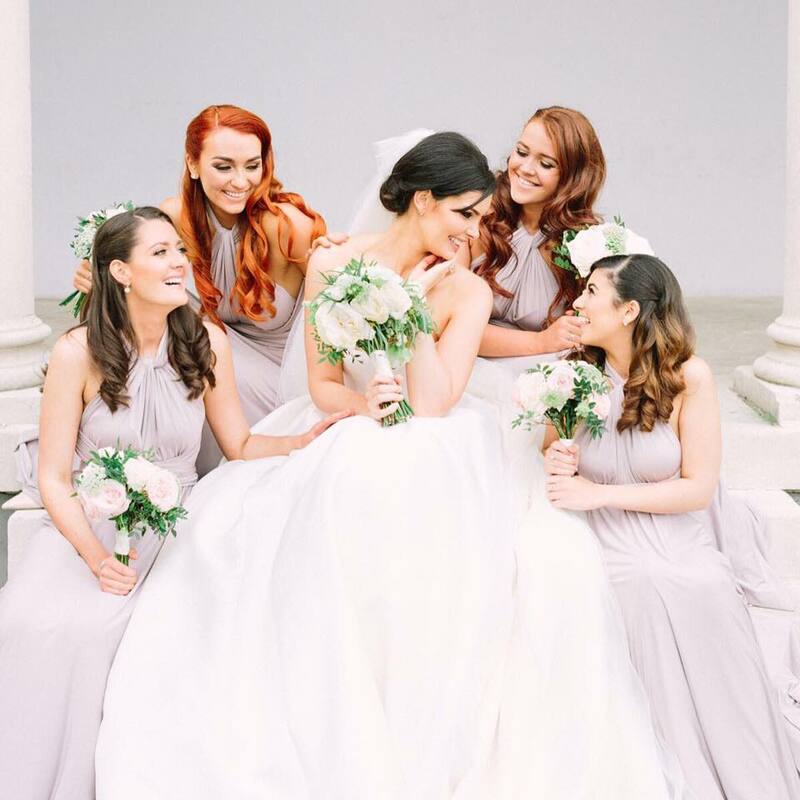 The bridesmaids’ bouquets complemented both the bride’s bouquet and the elegance of their dresses – a simple mix of three variety of roses, stocks and Ammi on a background of pistache foliage were bound in a classic dome bouquet. The groom’s party was dressed in classic navy suits and wore classic rose buttonholes, ivory for the groom and blush for the rest of his party. 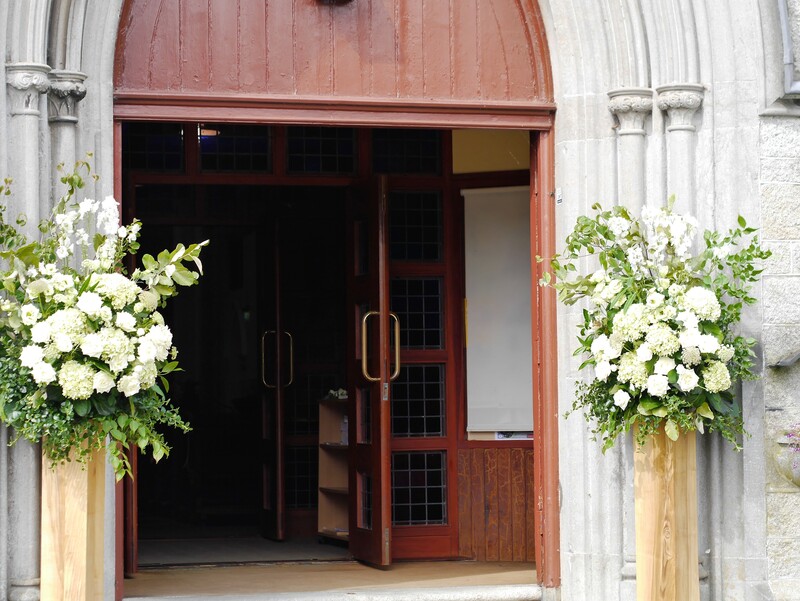 To welcome the guests, we places two large flower pedestal arrangements on our wooden stands at the entrance of St. Mary’s Church, Enniskerry. On a beautiful canvas of textural greens, we uses white hydrangeas, Delphinium, roses, Ammi, stocks, Lisianthus and Campanulas. 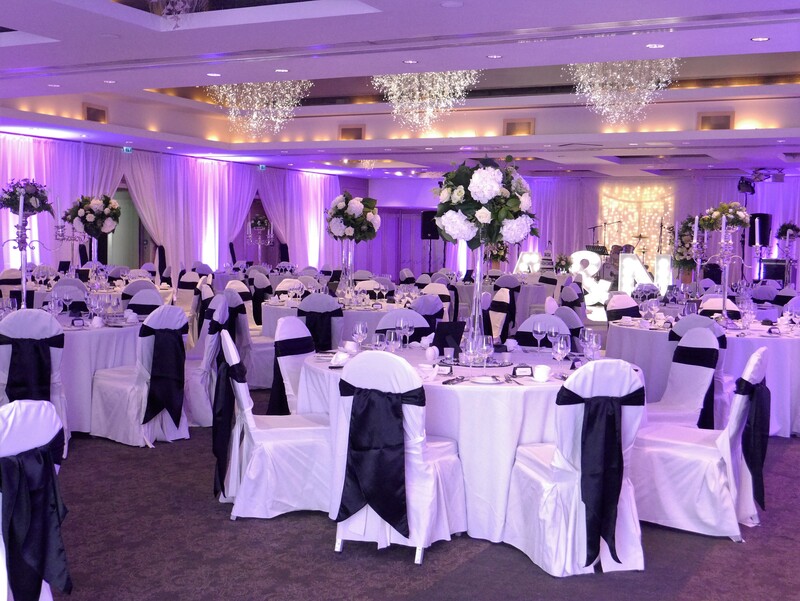 And for a white wedding, it was only fitting to decorate the aisle with simple bunches of white wedding flowers finished with ribbons of white satin. 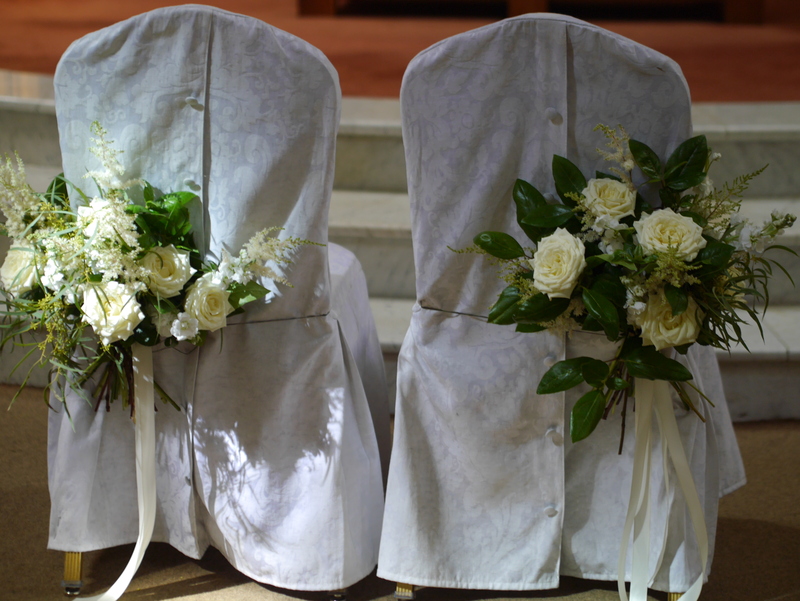 For the bride and groom’s marital chairs we designed simple domes of white flowers, mirroring the beautiful altar display. 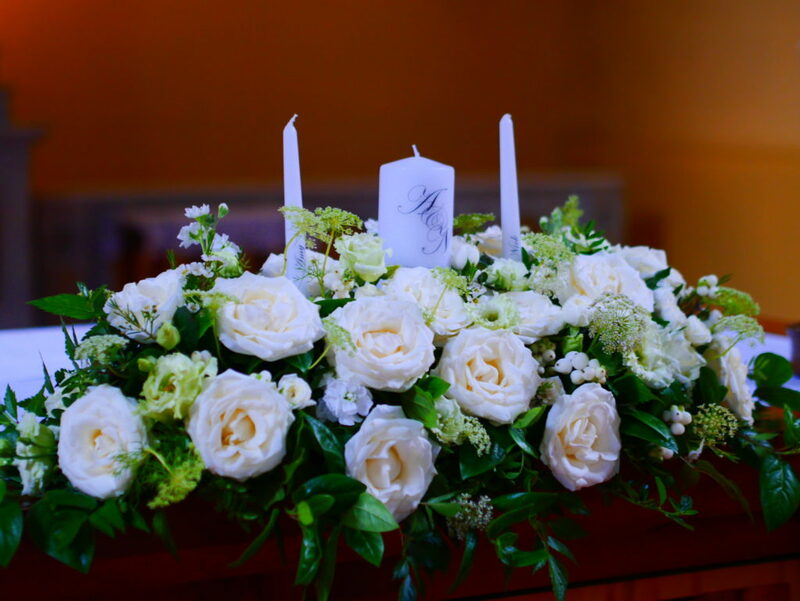 The marriage candle arrangement was an abundant mass of ivory roses interspersed with seasonal blooms. The beautiful reception room in Carton House was adorned with large domes of white flowers and tall 5 arm candelabras topped with a similar domes of wedding flowers. 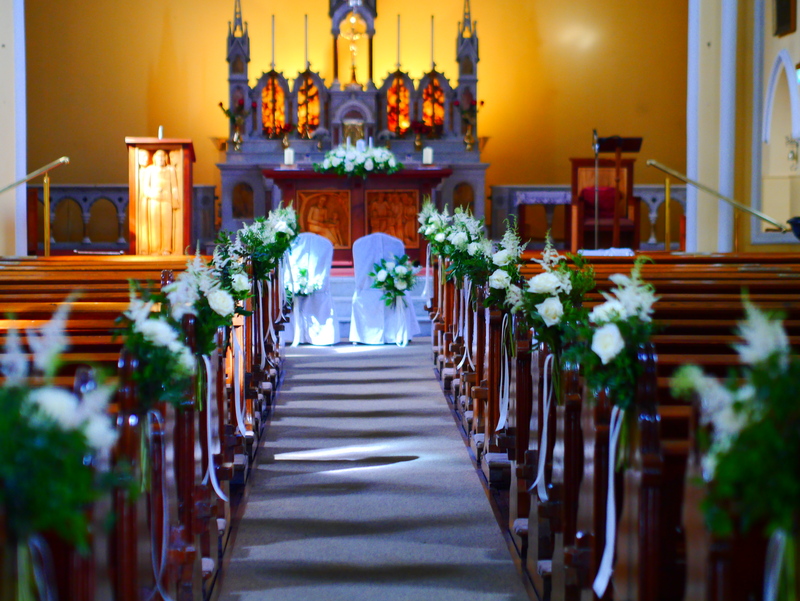 It is always a good idea to reuse the flowers from the church for your wedding reception. 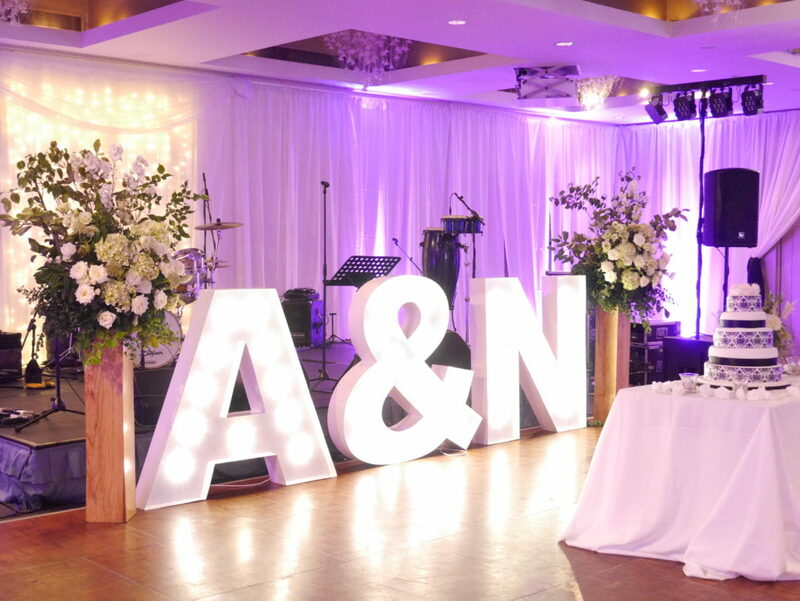 The two pedestal flower arrangements that initially greeted the wedding guests at the entrance of the church were placed on the dance floor, providing a beautiful backdrop for the wedding cake and framing the large lighted initials. And here’s the church altar arrangement, beautifully dressing the top table now.